*compared to Kirin 950.Speed values are obtained through testing conducted in HUAWEI labouratory conditions. Actual speeds may vary with operating temperature, system configuration, usage, and other factors. 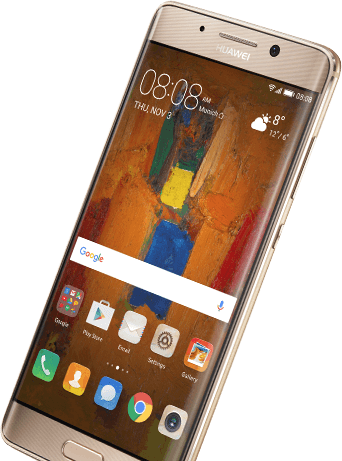 The HUAWEI Mate 9 Pro automatically manages resources by prioritising CPU, RAM and ROM for optimal performance and closes memory intensive background apps. Within the CPU, fine-grained scheduling maximises computing efficiency. For RAM, it automatically recycles memory resources, creating more memory for priority apps and enabling stutter-free performance. And for ROM, it opens an exclusive channel of Storage I / O making the apps you use the most work even faster.